Minimum ageing period: 18 months. 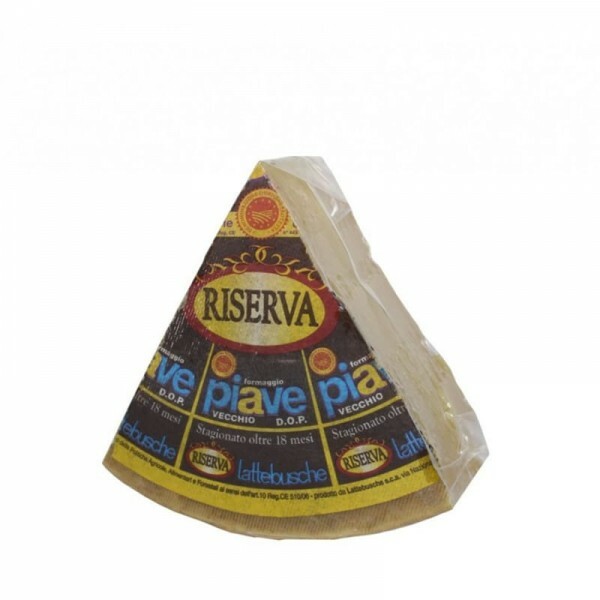 Piave PDO is a hard, cooked-curd cheese produced in the province of Belluno, the northernmost tip of the Veneto region, where fodder, rich in florets, gives milk particular organoleptic features. Today, it is still produced using the ancient rules of the dairyman's art. 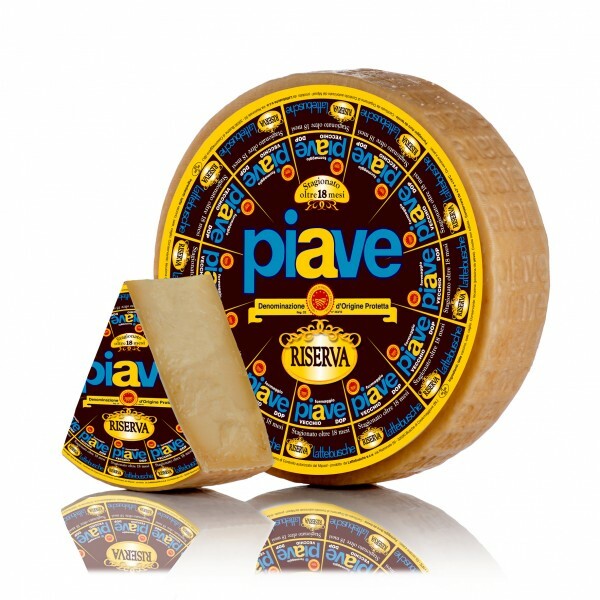 Thanks to a process passed down from generation to generation of dairymen and to more than 18 months of aging, Piave Vecchio Riserva has an unmistakable flavour, which is intense and never sharp. Only a limited number of wheels is set aside for such prolonged aging. Aging more than 18 months. Curd intense straw-coloured with slight, characteristic flaking. Flavour intense and never sharp. Shape cylindrical, straight heel, “Piave” mark stamped on the heel. Dimensions diameter 25.5/29.5 cm, height 7 cm. Weight 5.5 Kg +/- 1 kg.